PAKRA® Games simulate your customer-facing and process-driven work environments, such as sales, order fulfillment, help-desk, technical support and customer-service centers. They can simulate any type of interaction (voice, chat, web, email, face-to-face or social media) and are equally powerful for your internal customers. As game players, your applicants and employees learn more about their work environment and work processes — and learn how to perform better. Game players receive feedback on their performance and scores throughout the simulations. Every decision made during game play is recorded and reported in PAKRA® Console, to be monitored by your recruiters, trainers and managers. Your employees are 92% more likely to apply content they learn through PAKRA® Games than through standard training modalities. 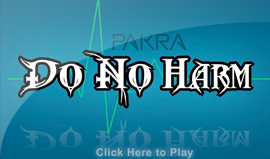 See why PAKRA® Games are so much fun and so effective: Play the games below. 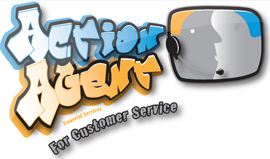 See how well you provide customer service in the call center of the PAKRA National Bank. While you speak with customers on the phone to answer questions and attempt to collect past-due payments, you'll be measured on your demeanor, escalation and accuracy. Be sure to keep an eye on the Angry Caller Index®. 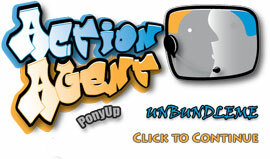 » Click here to login. Play and Learn. See how well you upsell iPAKRA Telecom Bundle online chat with a customer. Learn to maintain a positive demeanor, manage your chat time and overcome customer concerns to maximize the likelihood of additional sales and retain the customer. Be sure to keep an eye on the Wannabuy Meter®. As a telesales associate for iPAKRA Software, you'll make outgoing calls to prospective customers. Watch the WannaBuy Meter as you learn to maintain a positive demeanor, manage your talk time and overcome questions to maximize the likelihood of purchase. As an agent for the iPAKRA tech-support service center, you'll learn to provide quality service by telephone to different customers while demonstrating the value of additional services for sale. You'll get feedback on the decisions you make and be scored on your telephone etiquette and process adherence, as well as your call scope and sales skills. Be sure to keep an eye on the First Call Resolution Meter®. Can you resolve your customer's concern as an agent of iPAKRA Wireless Device Support? Maintain a positive demeanor, sharpen your troubleshooting and resolution skills, and measure your process compliance, as you monitor the First Call Resolution Meter and try to satisfy your customer. Enter PAKRA General Hospital as an employee, ranging from a physician to an aide to a food-service worker, and learn how to better care for patients and their family members. See how well you do meeting National Patient Safety Goals. And don't forget your hand-sanitizer!